I love my little digital camera. 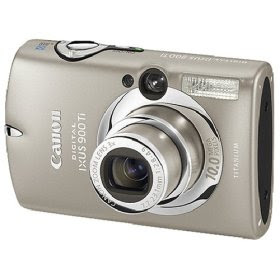 It is a Canon Ixus 40. Ali bought me it for my birthday a few years ago and it has turned out to be one of the best presents ever. It is really simple to use - just point and click - but produces excellent pictures. Also the fact that it is so small pushes it into the cute gadget category. Finally, the way it synchronises the pictures with the computer is effortlessly simple and well designed. Sadly it is time for an upgrade. Despite it's many good points the camera is starting to show it's age. 4 Mega pixels seemed like massively high resolution when we upgraded from a 1 MP camera - but now it just isn't enough. When you try to enlarge bits of pictures it is a bit grainy. But the worst sin of all is that it has started to get a bit unreliable. Sometimes it will just switch itself from still into video mode. At other times when you turn the flash off it will turn it back on. This can be quite a shock for a five week old baby as you can see here!. There are so many capable compact digital cameras around there days that you are spoiled for choice. But as luck would have it, my mate Marcus had just bought himself an Ixus 900Ti and highly recommended it. I was a bit dubious at first. Do I really need 10 Mega pixels? Well I'm glad that I took the plunge because the 900 is a fantastic bit of kit. 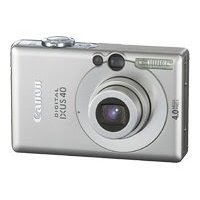 And what is best about it is that it works pretty much exactly like the Ixus 40 except just a bit better in every area. Bigger screen, better focus, more capacity, more control and most important - new and shiny. Cool camera it is Mr Ports, like you I discovered the Ixus a few years ago with the Ixus 400 & upgraded to the 900ti just a few weeks ago. It's image quality is great, so much so that it probably surpasses my Canon EOS SLR digital from just a few years ago.